Jonno is set to appear in what is anticipated to be a blockbuster feature film, with a stellar cast, when it is released in February next year. Starring Colin Firth, Sir Michael Caine, Samuel L Jackson, Mark Hammill and newcomer Taaron Egerton, Kingsman: The Secret Service tells the story of a veteran secret agent who takes a young upstart under his wing. 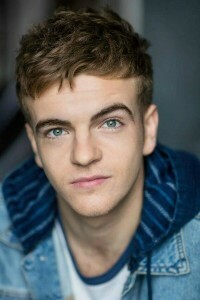 Jonno, cast as Lee (father of the film’s main character Eggsy), has already filmed his scenes at Pinewood studios and, although it is only a small role, he is absolutely delighted to be appearing in his first feature film with such a high profile cast.